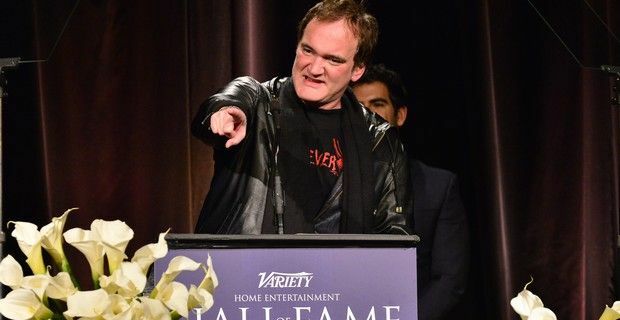 No one messes with Quentin Tarantino as Gawker Media has found out, as the Oscar-winning director has filed a suit against the web news service for publishing links to his unproduced script, The Hateful Eight. Gawker's Defamer blog published a post called "Here Is the Leaked Quentin Tarantino Hateful Eight Script" in which they linked the 146-page screenplay, making it public domain. Following the leak, Tarantino said he was "betrayed" and "very, very depressed" and in an interview with Deadline Hollywood, the film-maker said he would shelve the film ‘indefinitely’ in retaliation, hoping that it would discourage future illegal leaks, but admitted "could totally change my mind" on the project. Tarantino had originally revealed his plans to shoot a new Western as his next project in November last year to chat show host Jay Leno. Martin Singer, Evan Spiegel and Henry Self at Lavely & Singer who are representing Tarantino filed two claims in the United States District Court for the Central District of California in Los Angeles, one for copyright infringement and the other for contributory copyright infringement. The first against John Doe defendants and anonfiles.com, where the script was uploaded and the other against the gossip website Gawker. The lawsuit reads: "This action is necessitated by Gawker Media's and the other defendants' blatant copyright infringement by their promotion and dissemination of unauthorized downloadable copies of the leaked unreleased complete screenplay". "Gawker Media has made a business of predatory journalism, violating people's rights to make a buck. This time they went too far. Rather than merely publishing a news story reporting that Plaintiff's screenplay may have been circulating in Hollywood without his permission, Gawker Media crossed the journalistic line by promoting itself to the public as the first source to read the entire Screenplay illegally." Tarantino is seeking damages of $2 million, as well as statutory and punitive damages and an injunction preventing Gawker from linking to the script. Editor-in-chief John Cook denied the website had infringed copyright and defended Gawker saying that they had nothing to do with the appearance of the script and nor did they know who had uploaded it to AnonFiles.com, and they would be fighting the case. Who’s a noisy boy then?